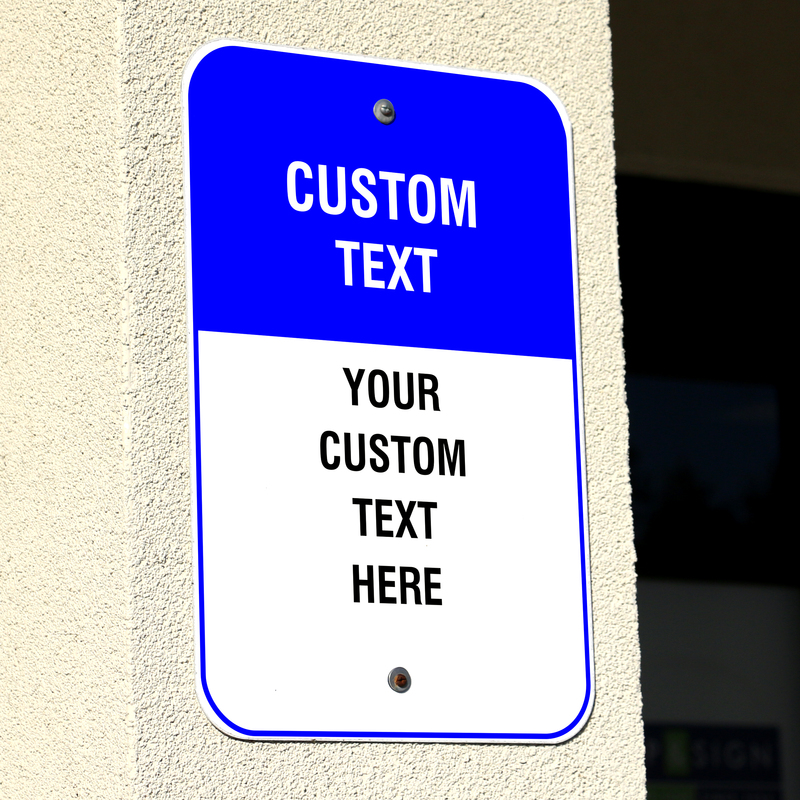 Customize this 18" x 12" aluminum sign with 6 lines total, 2 lines of text at the top and up to 4 lines on the bottom. Features White and Black letters on a Blue and White background. Heavy duty aluminum with 2 pre-drilled holes for easy installation.